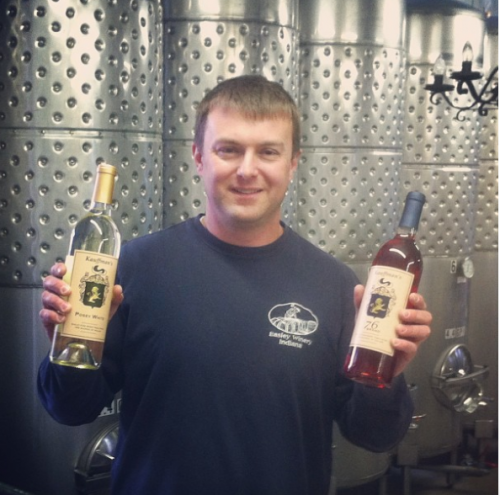 Easley Winery began as the dream of Jack & Joan Easley in the late 1960’s. 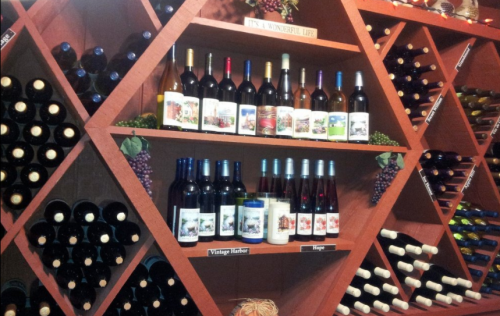 Making wines as a hobby in their basement in Indianapolis, Jack and Joan dreamed of growing grapes and making wine in Indiana. After working with friends, Jack and Joan successfully lobbied the Indiana government so wine could be made and sold in Indiana. In the fall of 1974, Joan and Jack crushed their first harvest and the rest is history. Now, the winery is owned by Meredith and Mark Easley. They continue to keep the motto started by Joan and Jack, the great wines are meant to be shared. 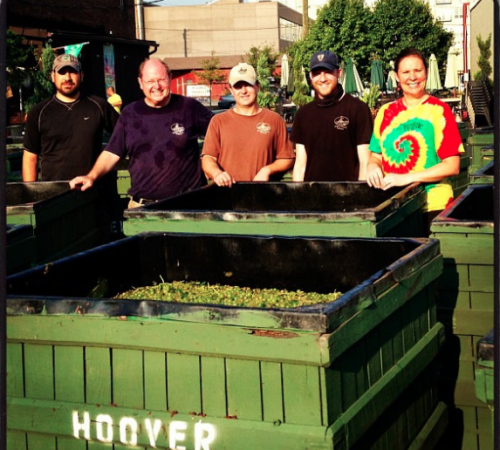 In the last five years, their wine sales have doubled each year. As a result, Meredith and Mark announced a $2 million expansion of the winery in November. As part of the expansion, a fully automated bottling line will be added to increase production capacity. The new bottling equipment will allow the winery to auto fill 1.5 liter bottles in high volume, making it the only winery in Indiana to do so. With the impending expansion, it is clear Easley winery will continue to push boundaries into the future as it has done since its inception. 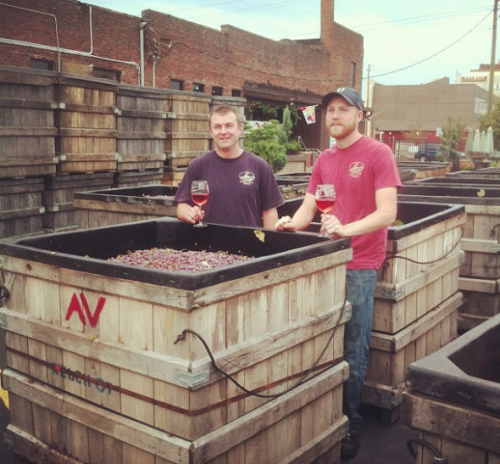 If the past five years are any indicator, Easley winery will remain an institution in Indianapolis for more years to come. 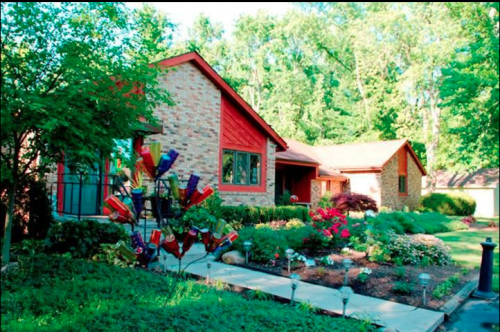 The first and oldest winery in Central Ohio, Wyandotte Winery opened its doors to the public in 1977. At the time, Floyd Jones, the original owner, constructed the foundation of the winery, only 10 wineries existed in the state of Ohio. Floyd and his wife Peggy worked on the grounds of the winery themselves until they sold the property in 1985. 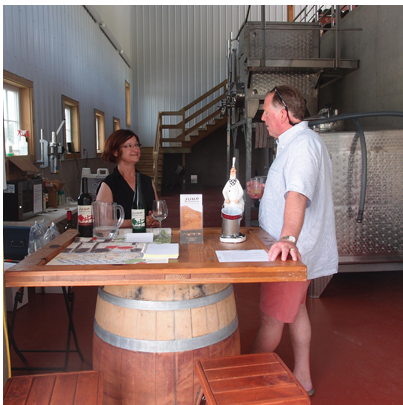 As Jane and Bill Butler took over Wyandotte Winery, development exploded around the winery. Today Wyandotte is surrounded by a quiet neighborhood community. In 2006, Robin and Valerie Coolidge decided to turn their winemaking passion into a business. They purchased Wyandotte and began renovating it immediately. In 2007, the winery was reopened to the public. Since then, Robin and Valerie have bought Wyandotte’s sister winery, RockSide Winery and Vineyards. Rockside is run by their son, Ryan. Just like in the beginning, wine is made on site. 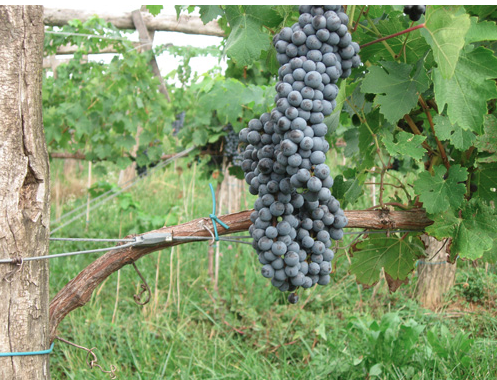 Historically, the Wyandotte had to ship grapes in from vineyards. In 2009, Valerie planted 75 vines of Marquette grape, transforming the winery into a vineyard. 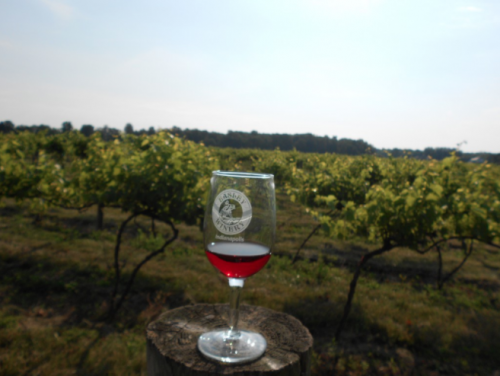 At the same time, Wyandotte Winery began working with Broken Fence Vineyards to expand its grape varieties. While wine making can take years at a time, Robin and Valerie have no plans of going anywhere. 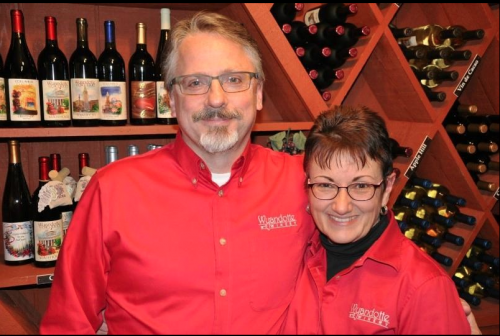 Their passion for wine will continue to keep them at Wyandotte for years to come. Napa Valley, November 10, 2017–WineAmerica, the National Organization of American Wineries, showed its support for the northern California wine industry with a “Winery Solidarity Tour” of several wineries, and also announced the organization’s future leadership, during its Fall Retreat in the Napa Valley. On the afternoon of Thursday, November 9, roughly 25 WineAmerica Board members and other participants from numerous states broke into groups to visit the tasting rooms of five member wineries: Cakebread Cellars, Chateau Montelena, Freemark Abbey, Robert Mondavi Winery, and Robert Sinskey Vineyards. In addition, some out-of-state winery owners brought samples of their wines to offer as goodwill gifts to their California colleagues. WineAmerica member Treasury Wine Estates hosted that morning’s business meeting at the historic Beringer Winery, as well as a reception and elegant dinner that evening at the Hudson House on the property. At the meeting, the results of a recent election were announced, including the re-elections of Board members Michael Walker (Constellation Brands), Mario Mazza (Mazza Winery, Pennsylvania), Dana Huber (Huber Vineyards & Winery, Indiana), and the election of Katie Jackson (Jackson Family Wines, California) and Max McFarland, co-owner of Mac’s Creek Vineyard & Winery in Nebraska. WineAmerica has hundreds of winery members from 42 states, so its Board is structured to ensure regionally diverse representation. On a leadership level, as of WineAmerica’s February 20, 2018 meeting in Washington, DC, Marty Clubb (co-owner of L’Ecole No. 41 winery in Walla Walla, Washington) will become Chair of the Board, and Janie Brooks Heuck (co-owner of Brooks Wines in the Willamette Valley of Oregon) will become Vice Chair. Until that time, Trent Preszler (PhD, CEO of Bedell Cellars on Long Island) will remain Chair, with Marty Clubb remaining as Vice Chair and Janie Brooks Heuck as Secretary. All three of these wineries are widely recognized and respected for the superb quality of their wines. Wine America also includes the State and Regional Associations Advisory Committee (SRAAC), a group of trade association executives from throughout the country who share information and experiences. Donniella “Donnie” Winchell, Executive Director of the Ohio Wine Producers Association, has served as Chair for the past couple years, to be succeeded in February by Debbie Reynolds, Executive Director of the Texas Wine and Grape Growers Association. Lori Paulsen, Executive Director of the Nebraska Wine and Grape Growers Association, was selected Vice Chair, which is a new position for the group. Created in 1978 as the tiny, regional Association of American Vintners, WineAmerica is now the only national organization of American wineries, has hundreds of members in 42 states, and is widely respected and consulted by industry peers, media, and legislators. Washington-based Vice Presidents Tara Good and Michael Kaiser work with Meyers & Associates lobbyists Larry Meyers and Fran Boyd on issues critical to the American wine industry such as excise tax reduction, music licensing, immigration reform, trade policy, and funding for the Alcohol and Tobacco Tax and Trade Bureau, grape research, and export promotion. In late September, Representative Mike Thompson from northern California wine country, co-founder and co-chair of the Congressional Wine Caucus, unveiled the first-ever national economic impact study of the American wine industry’s benefits to the American economy, which total $220 billion. WineAmerica sponsored that study, and the results are publicly available on both national and state levels at www.wineamerica.org/impact. 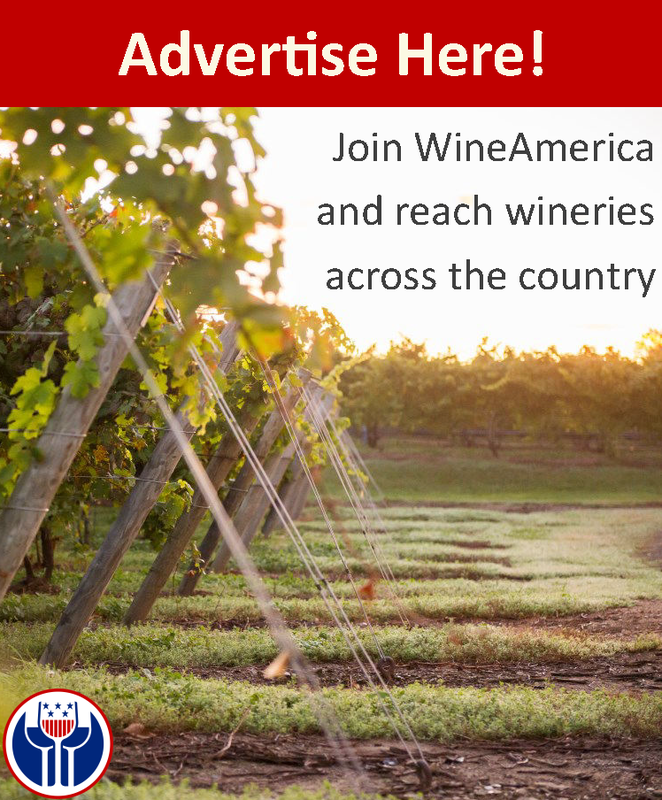 WineAmerica invites and encourages all American wineries to become members. www.wineamerica.org/membership. 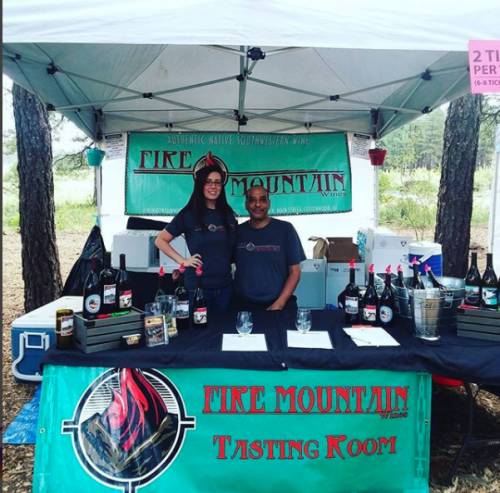 Located in Arizona, Fire Mountain Wines embraces its Southwestern heritage to create its wine. Pulling not just from Arizona vineyards, the winery sources grapes from California and New Mexico, as well. Since its founding in 2011, Fire Mountain Wines has highlighted Cottonwood’s Native American roots. Besides using ancient wine techniques first employed by Native American in the area, the tasting room is used as an art gallery for local crafts and artwork. Besides creating wonderful wine, the ultimate goal of the winery is to connect people within their own community. 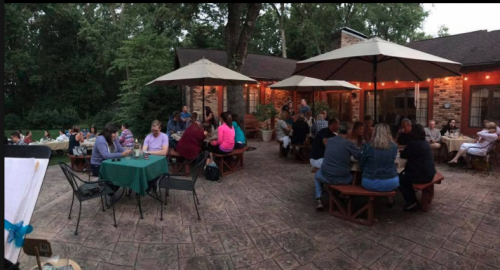 Every Monday, the winery holds Locals Night for people in the Cottonwood area to relax and release their Monday blues. As part of the Verde Valley Wine Trail, Fire Mountain Wines’ tasting room can be visited every day of the week including on Wino Wednesdays and Thirsty Thursdays. 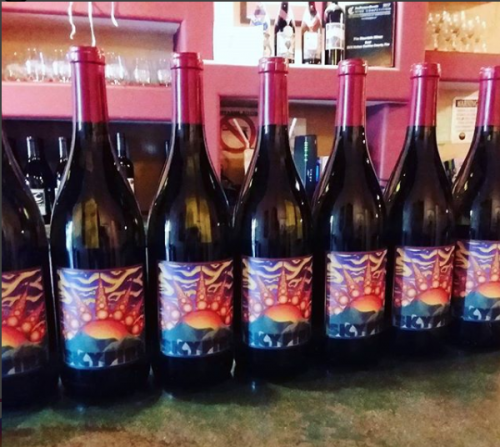 With its great wine and proud heritage, it is obvious Fire Mountain Wines will remain an institution in Cottonwood for years to come. Located in the heart of Shenandoah Valley, Jump Mountain Vineyards stretches across thirty-two beautiful acres in Virginia. 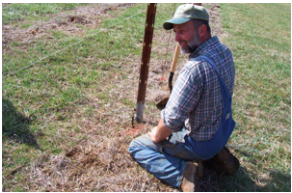 In 2006, Mary Hughes and David Vermillion bought the land for its low humidity and cool temperatures. The first harvest was planted two years later. 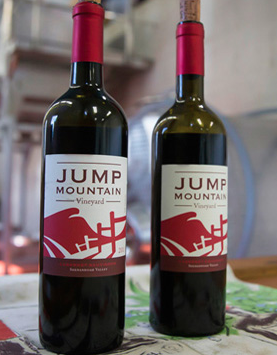 With the construction of its own winery building, Jump Mountain Vineyard began to produce its own for the first time in 2008. Known for its red grape varieties, Mary Hughes and David Vermillion have experimented with Tannat, Lagrein, Refosco and Sargrantino varieties in the past. Sadly, these red grape varieties did not survive the freezing temperatures created by the polar vortexes in 2014. Despite the loss of the grapes, Mary and David continue to experiment with new vine varieties for the sake of innovation. In the future, a larger tasting room and outdoor patio will be added; Currently, a small tasting room is available on weekends by appointment. As a member of the Shenandoah Valley Wine Trail, visitors can already enjoy the natural beautiful of the Shenandoah Valley while tasting the vineyard’s wine. Without a doubt, Jump Mountain Vineyard will continue to highlight the beauty and importance of the region for many years to come.